We continue our delve into the world of Stablecoin variants, understanding the mechanics behind them, and where they sit in the world of the emerging token economy. Part Two highlights the properties of how commodities and digital asset backed stablecoins function. There are currently over 30 stablecoins that are backed by gold alone. Other popular commodities that back digital assets include silver, diamonds and oil. However, there are some other stablecoins coins that are backed by commodities such as bananas and units of solar energy. Whether these commodity backed “stablecoins” are truly stablecoins is a matter of much debate, the nature of the backed asset brings them into the territory of traditional securities. Additionally, their prices can still fluctuate wildly against fiat currencies, further invoking debates on their stablecoin status. Some tokens have attempted to mitigate the effects of price fluctuation by creating a basket of commodities with varying degrees of success. Some of the more complex of stablecoins are the digital asset-collateralised and non-collateralised coins, which are controlled algorithmically. These coins attempt to maintain dollar (or chosen currency) parity through the sophisticated use of algorithms and smart contracts. Digital asset-backed stablecoins offer a much more decentralised approach to achieving price stability. The lack of centralisation makes the process trustless, they are quite often backed by a range of digital asset, in an attempt to distribute the risks caused by sudden market movements. 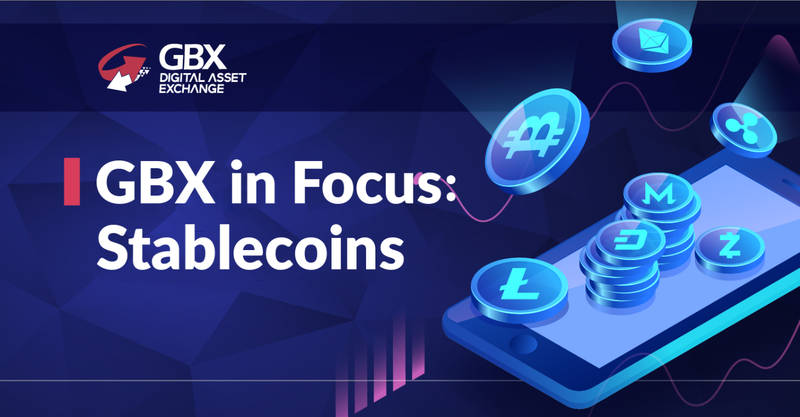 Due to the inherent instability of most digital assets the solutions often involve heavily over-collateralising the stablecoins, to make them resistant to market movements. For example, to get $100 worth of stablecoins, you would need to deposit $200 worth of Ether (ETH). In this scenario, the stablecoins are now 200% collateralised, and can withstand a price drop, of 25% for instance. This means the $100 worth of stablecoins are still collaterised by $150 worth of ETH. Another example of a digital asset-backed stablecoin is DAI, from the Maker team. Maker is a Decentralised Autonomous Organisation tasked with ensuring the coins stability. The coins stability is maintained via an autonomous system that executes a series of smart contracts. To create DAI, you send Ether to a Collateralised Debt Position (CDP) on the Maker platform. Anyone can use their ETH tokens as collateral, and issue a proportionate amount of Dai against them. A major test of DAI was when Ethereum fell from a record $1,400 in January to $400 April 2018. The DAI successfully managed to keep its value pegged to $1 USD, this situation was repeated when Ether fell to below $100, indicating that DAI continued to function, even in a market where ETH fell. DAI uses algorithms to determine what the price of Ethereum is, it does this by using multiple oracles to provide pricing data. This decreases the chance of the network being compromised by bad actors feeding the system flawed pricing data. Another fallback against DAI unpegging from dollar parity is that owners of Maker tokens MKR (the network that supports DAI) can always vote in favour of a global settlement. This is considered the ‘nuclear option’ and would only be used in the event of catastrophic failure, such as a global attack. In this circumstance, the entire system shuts down. All positions are unwound and the ETH is returned to the users who have the collateralised debt positions. You can find our more information on the DAI stablecoin model here. DAI has grown in popularity amongst digital asset traders and at the time of writing has a higher market capitalisation than Gemini’s GUSD, the world’s first regulated stablecoin offering from the Winklevoss twins. The final type of stablecoin are non-collateralised stablecoins. These coins are not backed by an asset of any kind. This may seem somewhat confusing and contradictory but such currencies share a lot in common with the U.S dollar. There was a time when the U.S dollar was backed by gold. However, the gold standard was dropped many decades ago. People are still perfectly happy to trade in U.S dollars as they have confidence in their value. This same principle is how non-collateralised are intended to work. The stability of these coins are algorithmically governed to balance supply and demand. This method is known as seigniorage shares. When demand increases, new stablecoins are minted to reduce the price to within defined parameters. Conversely, the coins on the market are bought when demand is low to increase demand. The theory is that the coins remain stable as they are controlled through supply and demand. Non collateralised rely heavily on faith in the system, meaning success is established through user confidence. As stablecoins grow in popularity and usage increases, they are looked upon as an avenue to facilitate the transition from a fiat based financial system to one that is cryptographic in nature. Companies such as Facebook Inc. are said to be working on a stablecoin project, in order to facilitate money transfers on WhatsApp messenger, focusing on remittance in the Indian market. JPMorgan Chase & Co. has even developed a stablecoin prototype, in a bid to achieve faster payments between corporate customers. Stablecoins are also seen as an alternative to national currencies, where the local currency has been subject to hyperinflation. The potential total addressable market for stablecoins exceeds $90 trillion dollars and as stablecoins develop they have the innovative potential to be the next step in the evolution of currency. The importance of a regulated and insured digital asset exchange can not go understated when concerning the adoption of digital assets into the mainstream. The Gibraltar Blockchain Exchange (GBX) has built an ecosystem of transparency, best practices and good governance, creating new standards for the token economy. The GBX pushes boundaries, to encompass digital assets that support the same ethos and goals; to establish a new era of blockchain powered finance. Keep an eye out for new developments as we continue in that endeavour, and build a future, together, for the token economy.